I introduce myself as a native Chamorro from the Pacific Island of Guam. I am from the village of Mongmong, and from the clan, Gollo. 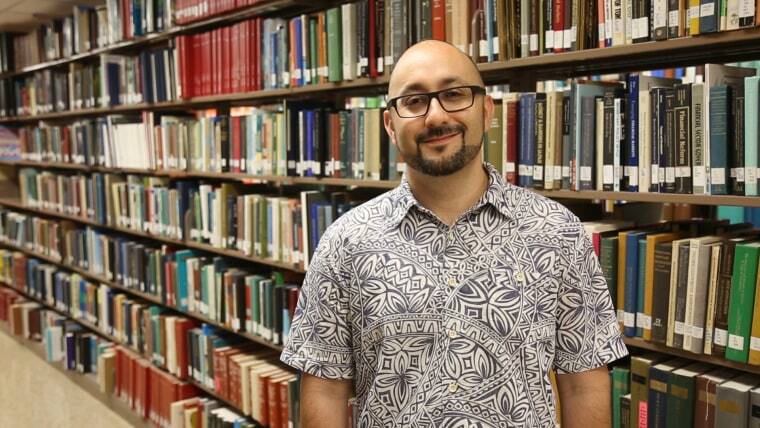 I attended high school and university in California, and I am a professor at the University of Hawaiʻi. I am a poet, performance artist, scholar, educator, activist, editor, publisher, son, husband, and father. I am inspired by the ecologies of the Pacific islands, the resilience of Pacific Islanders, the wisdom of Pacific cultures, the brilliance of Pacific scholarship, and the beauty of Pacific arts. Writing scholarship, composing poetry, and teaching all challenge me in rewarding ways. Finding time and balance is a challenge since I do many different kinds of work. The forces of colonialism, militarism, and capitalism are challenges that impact all of us in the Pacific. My family's migration from from Guam to California was the biggest risk in my life. Any migration is full of risk, hopes, and fears because you never know what will happen to your life in a new place. Will we find happiness or trauma? Will we succeed of fail? Will we be welcomed or rejected? Will we ever belong? I am teaching a course on "Eco-Poetry," which focuses on poetry about nature, ecology, environmental justice, ecology, climate change, animals, and food. So I am reading many student poems about these topics. If I weren't a professor, I would want a job in environmental sustainability. ...it is important for us to acknowledge our accomplishments, recognize our cultural vibrancy, and highlight our contributions to, and critiques of, the United States of America.